What are your ideal prospects not getting from their financial advisor? They don't know what they are getting and not getting, do they? When I ask a group of advisors, what do you get for $20,000 per year, most of them wing the answer? If the advisors cannot tell me what clients get, how will the clients be able to understand what they are getting, and more importantly, not getting for what they pay? How do you feel when you are paying for something and NOT getting it? 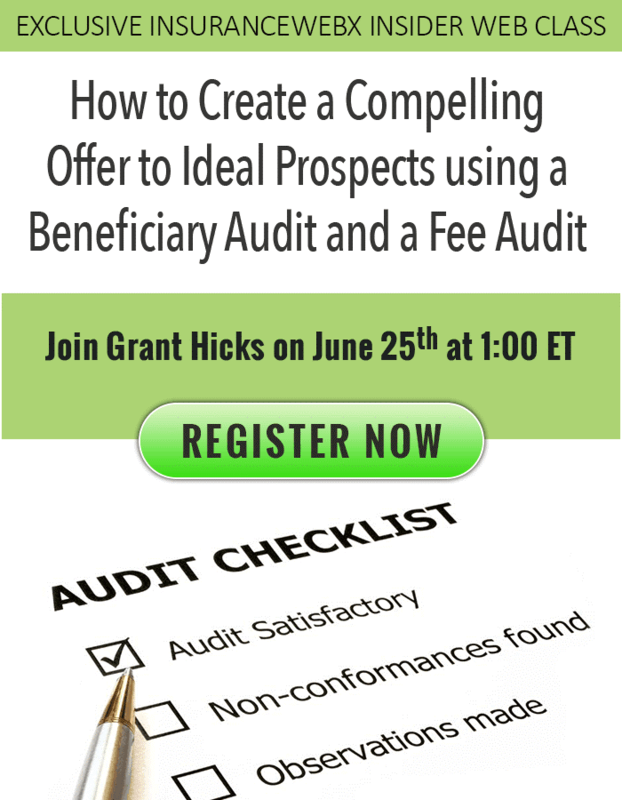 Join me during my webinar as we will discuss two proven ways to engage ideal prospects, by asking key questions and offering your fee audit or beneficiary audit service. Your compelling offers are to show ideal prospects what they are NOT getting from their current advisor. Offer total transparency using fee audits which demonstrates to prospects what they are paying for, and what they are getting and not getting from their current advisor. How do you feel when you are paying for something and not getting it? Show prospects what they are NOT getting but paying for.